Linda Rutenberg's images capture an astonishing world hidden in plain sight. By photographing public and botanical gardens at night, Rutenberg reveals a luminous landscape of plants, colors, shadows, and light. 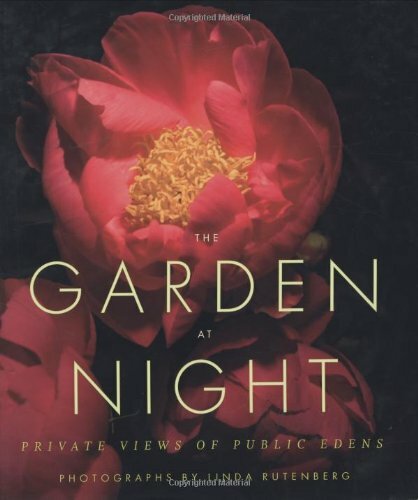 Twenty-one gardens throughout North America are included, each with intimate portraits of their regional flowers and plants glowing in the blackness, revealing a secret nighttime world of subtle yet vibrant beauty. An essay by celebrated author Christopher Dewdney illuminates the mystique of gardens and the nature of seeing. The Garden at Night will enchant art-lovers and garden-lovers alike.